Dhanush and Gautham Menon have joined hands for the first time in upcoming Tamil action-thriller Enai Noki Paayum Thota, film’s shoot was finally wrapped up on Tuesday in Mumbai where the final portion was being shot. In the Mumbai schedule, actor-filmmaker Sasikumar, who plays a key role in the film, shot his portion. 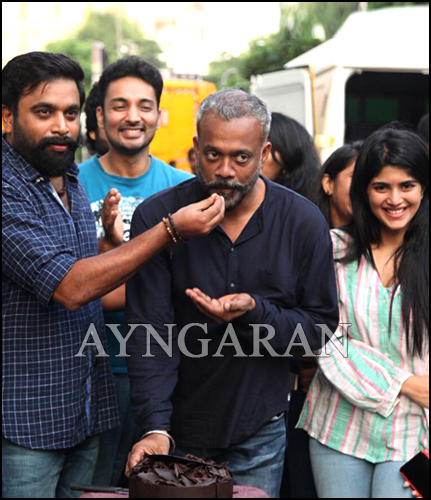 Gautham Menon took to Twitter to announce the completion of the project and also confirmed that Enai Noki Paayum Thota is gearing up for Diwali release. Enai Noki Paayum Thota features Dhanush, Megha Akash, Sunaina, Sasikumar and Rana Daggubati in the star-cast. Darbuka Siva has composed music for this film, where all the three single tracks are remaining on top of charts despites a longer stretch. The film is produced by Gautham’s home production banner, Ondraga Entertainment & Escape Artists Motion Pictures.